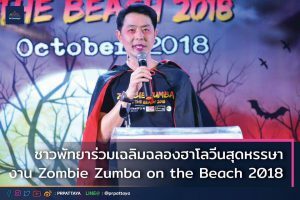 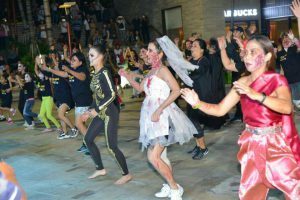 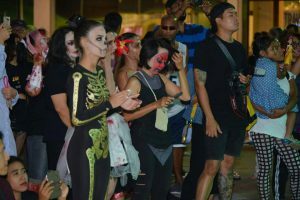 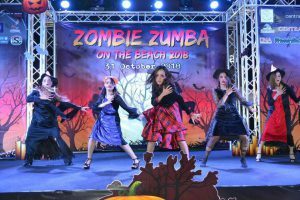 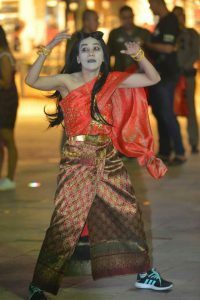 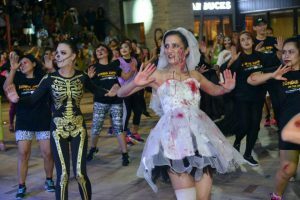 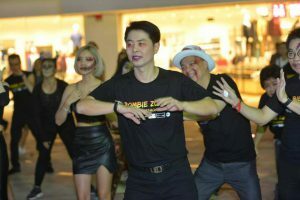 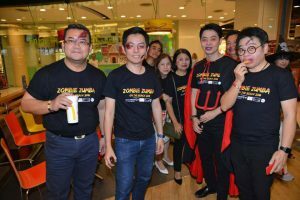 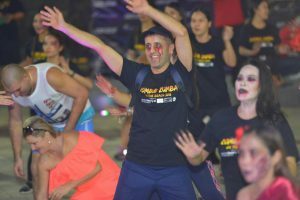 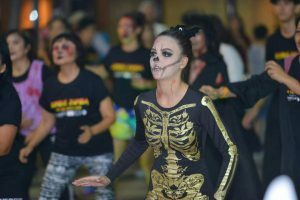 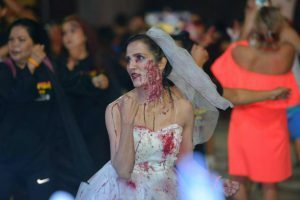 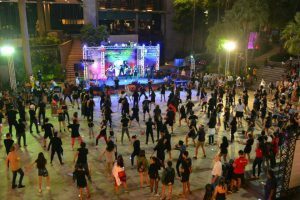 Pattaya city celebrated the Halloween festival as tourists and locals putting on makeup to look as scary zombies and having fun of Zumba dance during the Zombie Zumba on the Beach 2018 celebration at Central Festival Pattaya Beach Shopping Center participated by over 300 Zumba dancers. 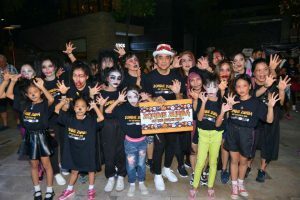 Besides the ghoulish makeup contest, participants were entertained by the beat of popular DJs together with Net Idols to add the color of the night. 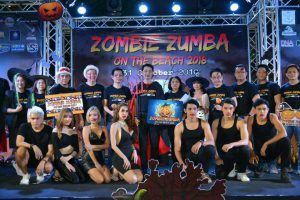 Moreover, the limited edition of T-shirts had been given to promote people to be healthy and foster the good image of Pattaya as the Sports City.